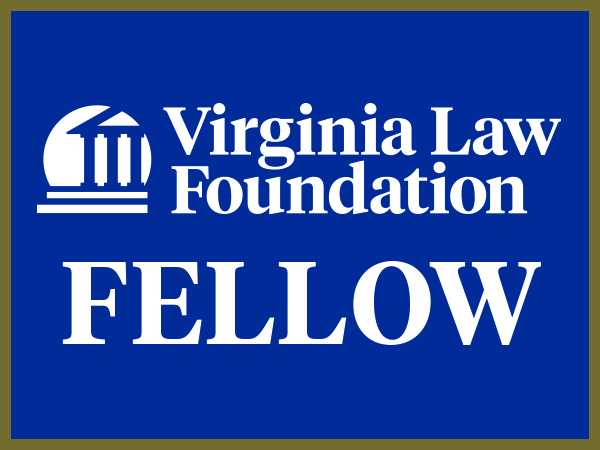 The Virginia Law Foundation, the philanthropic arm of the Virginia State Bar, is now accepting nominations for its Fellows program in which peers nominate leaders of the law in their communities. The Fellows of the Virginia Law Foundation comprise nearly 500 Virginia lawyers who represent the best and the brightest of the profession, the highest ideals of the law, and the concept of the citizen lawyer. Since 1974, the Virginia Law Foundation has provided more than $25 million in grants to support projects throughout the commonwealth that facilitate access to justice, improve the administration of justice, and provide education in support of these ideals. For more information on the Fellows nomination process, please see here.